of the items listed below. 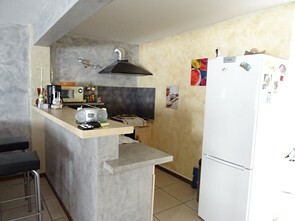 of street and with a garage of 30 sq m .
and 1 hour and 10 minutes away from Montpellier. kitchen, nice wood stove, 2 bedrooms, a shower room, a separate toilet. Attic which could be converted on 20 sq m.
pleasant street, parkings are close to the house. East, South and west facing. Living space about 82 sq m.
Agency fees included VAT are payed by the owner. a bathroom with a bathtub and a shower, 2 separate toilets. double glazing, very good condition. South facing. 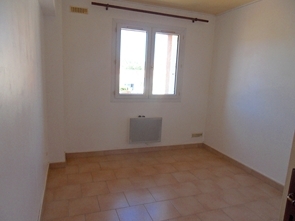 Living space about 110 sq m.
south facing with an open view, garage and garden. town offering all the facilities. with a water tank. Reversible air conditioning system and double glazed windows. 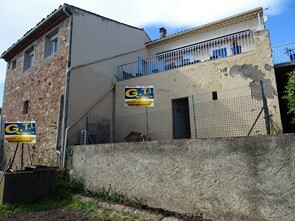 Living space about 110 sq m.
house with courtyard and terrace, in move in condition. 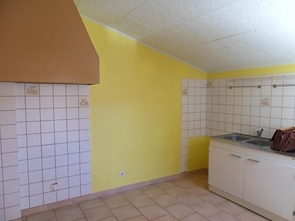 a large fully fitted kitchen, pleasant courtyard of 13 sq m with a barbecue. First floor : 2 bedrooms and 2 shower rooms with toilets. south facing with an open view. 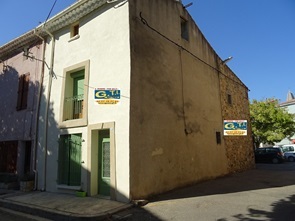 + a land, no attached but in the village for 600 sq m.
Living space about 125 sq m.
2 terraces and a large garage. terraces 21 and 14 sq m. Including also a stair lift. 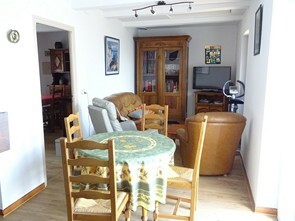 Living space about 65 sq m.
full of character and direct view on the river. Living space 180 sq m!! with a toilet. Second floor : 2 spacious bedrooms, a large shower room with a toilet. for convertion for a part. Nice tiles. Roof in good condition. Living space about 180 sq m.
and a cave in a quiet location of the village. airport and 1 hour and 10 minutes away from Montpellier. another large shower room with a toilet. lots of charm. Living space about 130 sq m.
a garage and a terrace with a panoramic view. To renovate. 1 living room with a kitchen corner, 2 bedrooms, large bathroom with a toilet. making angle of street. Living space about 107 sq m.
Ground floor : entrance, living room, dining room, kitchen. First floor : 3 bedrooms, shower room and a separate toilet. or workshop outside or for motobykes.. 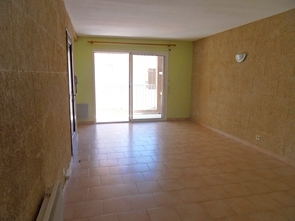 Living space about 80 sq m.
with a garage and 3 terraces in move in condition. 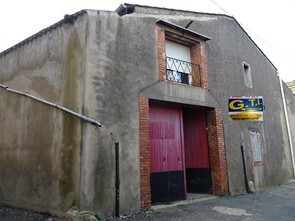 Ground floor: garage with a workshop and a large courtyard. kitchen, 2 bedrooms, shower room, a toilet. Nota Bene: all is in good condition, the works were made arround in 1990.
double glazing. Recent facade. Living space about 114 sq m.